Ziba Salon at Progress Ridge Townsquare is a full-service hair salon that offers all hair services as well as facial waxing. 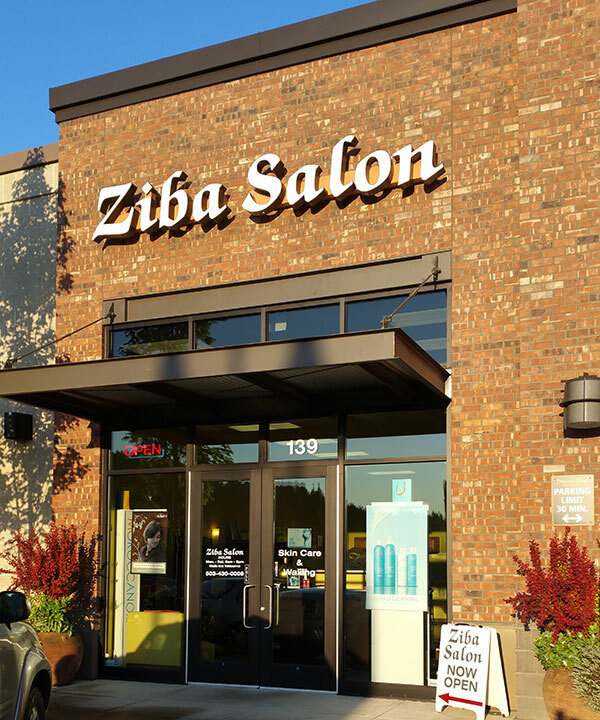 Ziba Salon has extremely experienced stylists that will do everything to pamper and accommodate you. The team at Ziba Salon prides itself in customer service and go above and beyond to ensure you have a wonderful experience. All of our stylists stay up to date on the latest trends in style and color. Ziba Salon’s stylists cut and style men’s, women’s and children’s hair. Coloring, highlights and color corrective treatments available. Ziba Salon also offers some of the most sought-after celebrity treatments such as the Brazilian Blowout and Japanese Straightening. They can also help you with a perfect up-do or special occasion hairdo. Ziba Salon carries a large supply of hair and beauty products, including the stunning MoroccanOil line. Walk-ins are welcome, however, you can make an appointment by calling (503) 430-0008.